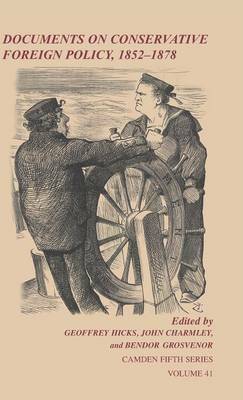 This edited collection brings together over 550 documents relating to the foreign policy of the British Conservative governments formed in 1852, 1858, 1866 and 1874. Produced by key policy-makers such as Benjamin Disraeli and successive Earls of Derby, they consider the major issues of the day, including the declaration of the French Second Empire, the wars of Italian Unification, the Austro-Prussian war and the great Eastern crisis of 1874-8. Despite the huge impact of these events, this is the first collection of primary material entirely devoted to the foreign policy of these governments. These documents permit a fuller understanding of mid-Victorian Britain's window on the world, as well as a thorough reappraisal of the dramatic clash between Disraeli and his Foreign Secretary, the fifteenth Earl of Derby. Recent renewed interest in this period among historians makes this publication a timely one.